The 2019 Chrysler Pacifica from Banks Crossing Chrysler Dodge Jeep Ram in Commerce, GA, serving Athens, Jefferson, and Toccoa, provides the capability and flexibility you need to conquer every adventure. Turn heads with the impressive exterior styling and simplify your daily commute with available power-sliding rear doors. 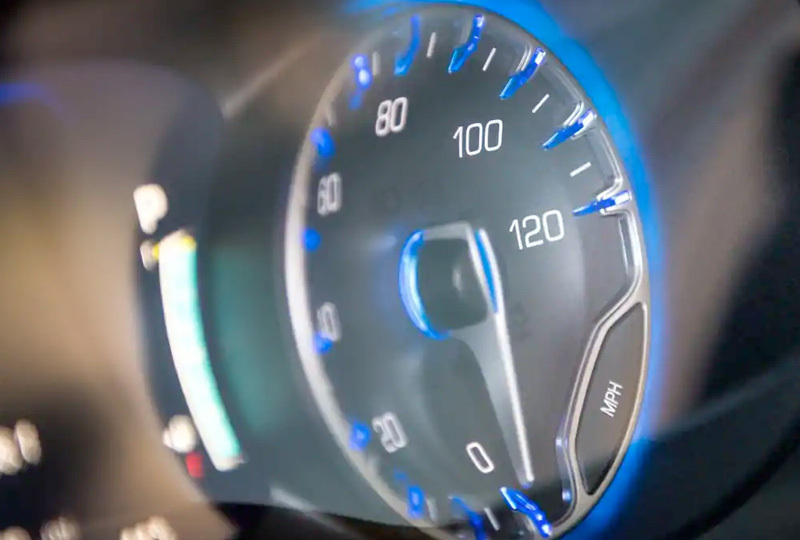 Let the standard 3.6L Pentastar® V6 engine guide you down every highway with an aggressive acceleration that always puts you in front of the traffic. Customize your interior storage solutions with the standard, third-row, 60/40 split-folding bench seat that lays flat for easy loading. 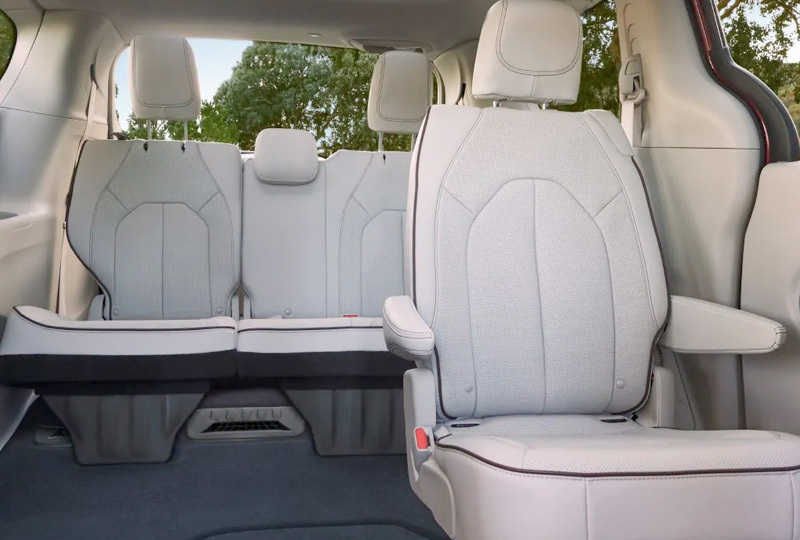 Everyone can relax in comfortable cloth-trimmed seats while the Uconnect® 4 infotainment system provides audio and smartphone connectivity on demand. Keep backseat riders entertained for hours with the available Uconnect® Theater that offers movies and games on dual 10.1-inch touchscreens. Experience the added benefits of multiple convenience features, including standard remote keyless entry and the Parkview® rear backup camera. Our 2019 vehicle inventory is here and we have amazing deals you have to see to believe. Take your test drive today by visiting Banks Crossing Chrysler Dodge Jeep Ram at 2377 Homer Rd, Commerce, GA 30529. Don't miss out on owning the new 2019 Chrysler Pacifica you've always wanted! With the key fob on you and a simple kick below the sensor, the available Class-Exclusive hands-free power sliding side doors2 will open magically. Don't leave anything behind. 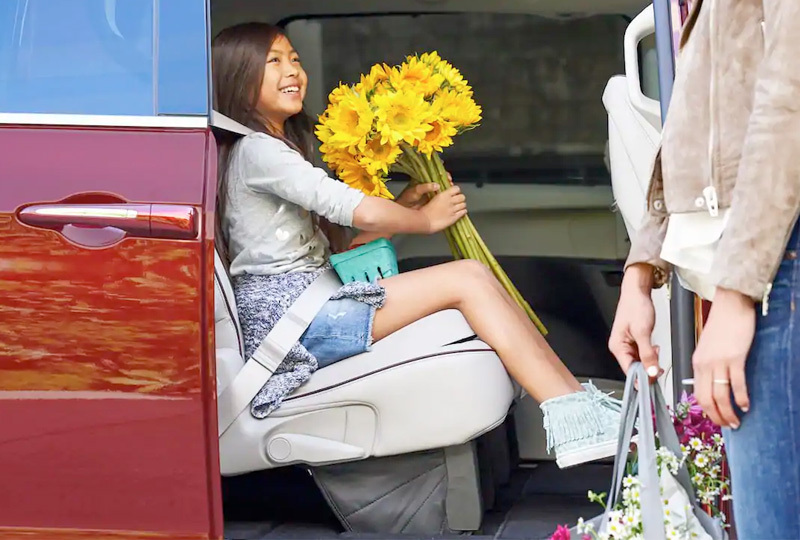 With up to 243 possible seating configurations3, the Chrysler Pacifica has ample room for cargo and passengers alike. Beyond 28 highway mpg1, the Chrysler Pacifica is engineered to help keep you and your passengers safe and secure. Electronic Stability Control3 applies selective braking and throttle control (if necessary) to help you maintain directional control. 1. EPA estimated mpg with 3.6L engine and nine-speed automatic transmission. Actual mileage may vary. 2. Based on the FCA US LLC Premium Minivan Segment. 3. Second-row Stow 'n Go® not available on hybrid models.